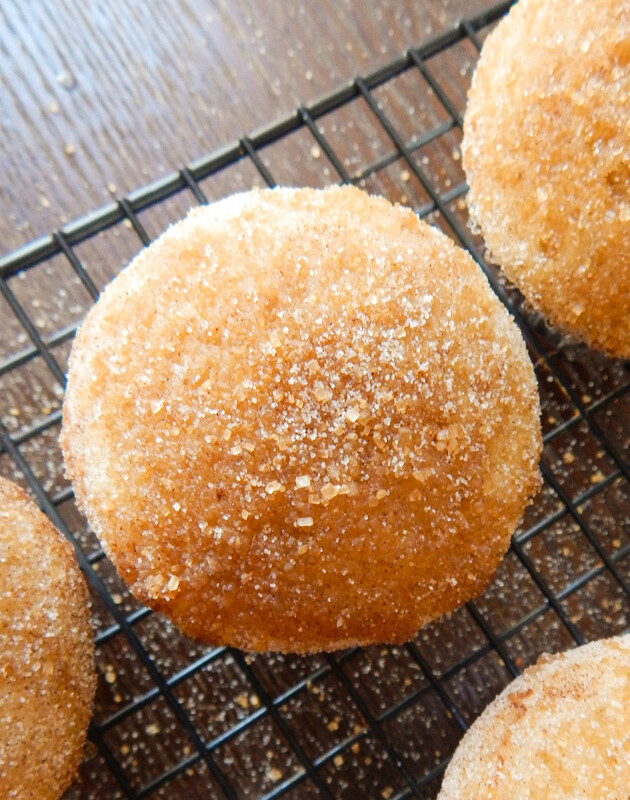 I saw the recipe in my September 2014 issue of Food Network Magazine, and had to try it! They give suggestions for ingredients you can add in like cocoa powder, strawberries, sprinkles, etc. I decided to use what they suggested for some: rainbow sprinkles and chocolate chips. I also decided to make one my own by adding in creamy peanut butter and topping with mini peanut butter cups. 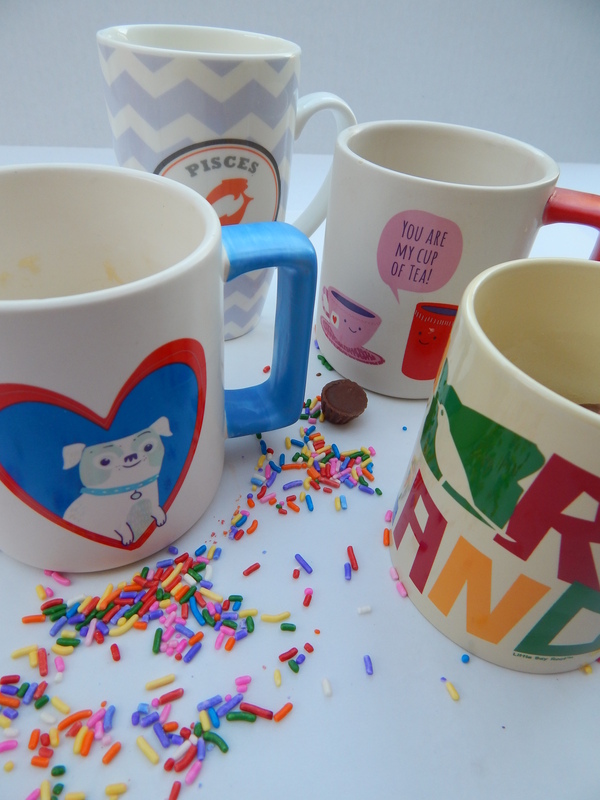 These are some of my favorite colorful mugs. My sister bought us the Portland mug while she was on vacation. I got my Pisces mug (I’m a March baby woo woo!) from Ross. The other two mugs are from Target. I may or may not have matching plastic place mats for the puppy mug. I know, I’m not 10, but I couldn’t resist them. I made fresh whipped cream for these, but Cool Whip or the canned whipped cream would work just as well and be faster! Go make some. It will be fun! 1. Whisk together Sugar, buttermilk, oil, eggs and vanilla in a large bowl for 1-2 minutes or until smooth. Add in flour, baking soda and salt and whisk until just combined. 2. 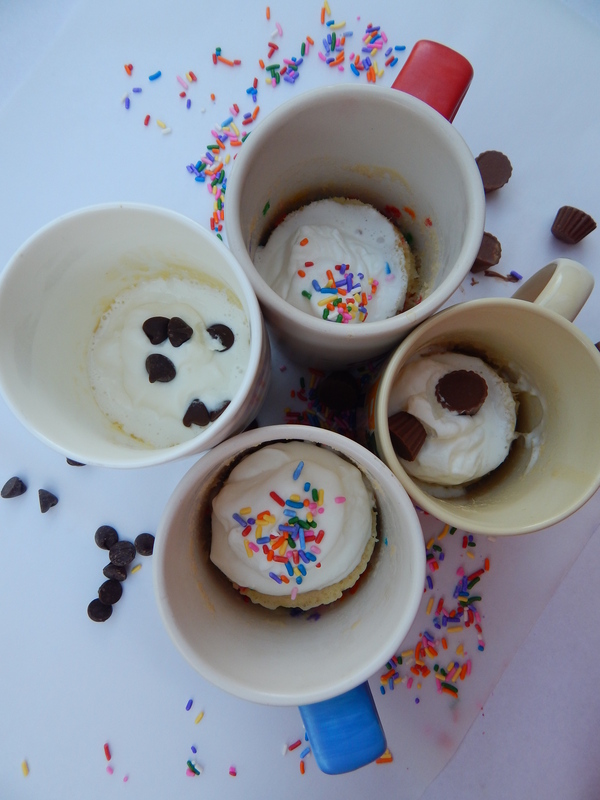 Pour batter evenly into 4 prepared, microwave-safe mugs. 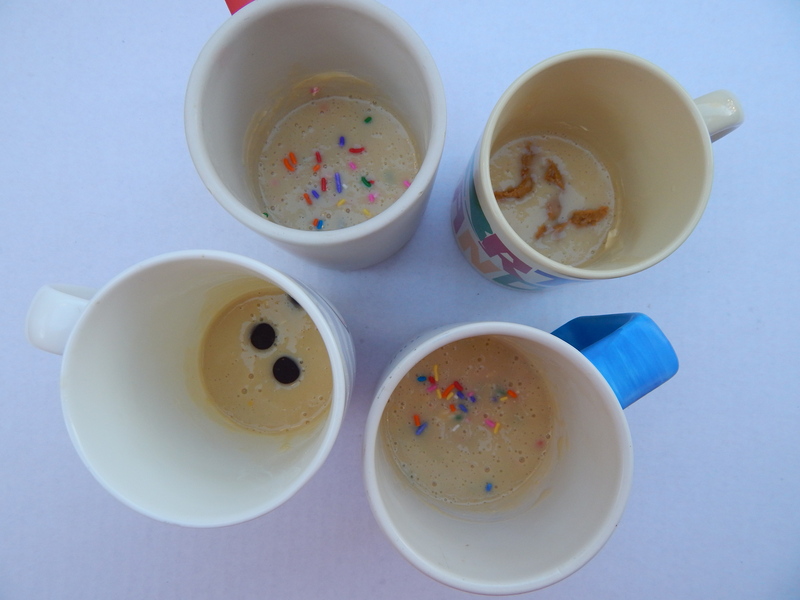 Add desired topping into each mug and mix in. 3. Microwave each mug individually for 2 minutes each. Remove carefully, mugs will be very hot. A toothpick inserted in the middle should come out mostly clean. If the cake is not completely cooked, continue to microwave in 15 second intervals until done. 4. 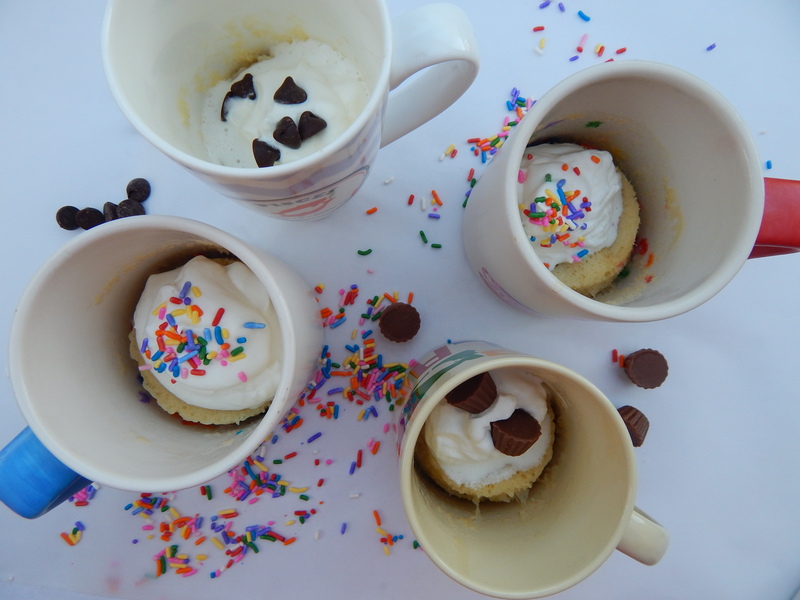 Let mug cakes cool slightly and top with whipped cream and additional toppings. 2 tsp. 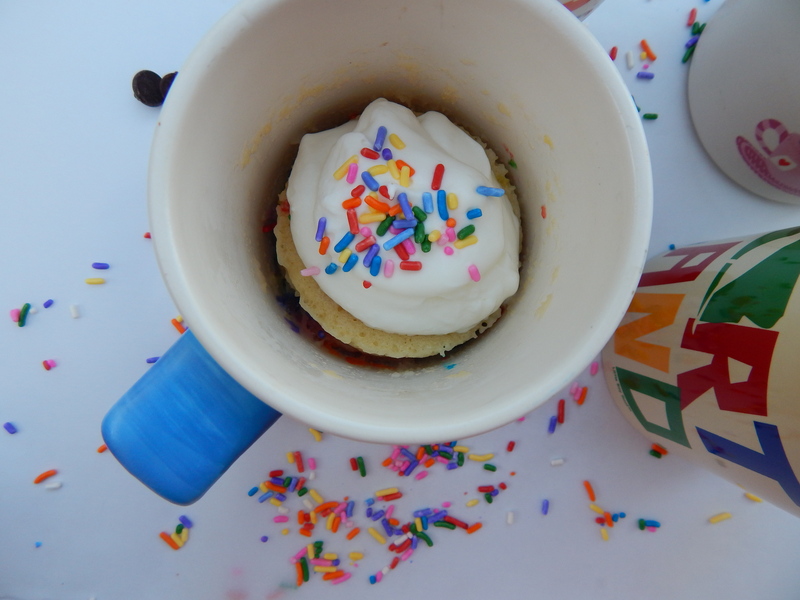 rainbow sprinkles, 3 tsp. chocolate chips, 1 tsp peanut butter, 1 tsp. almond butter, fresh fruit (topping not in batter), 2 tsp. walnuts, 2-3 mini peanut butter cups. Next Trader Joe’s Haul- October!